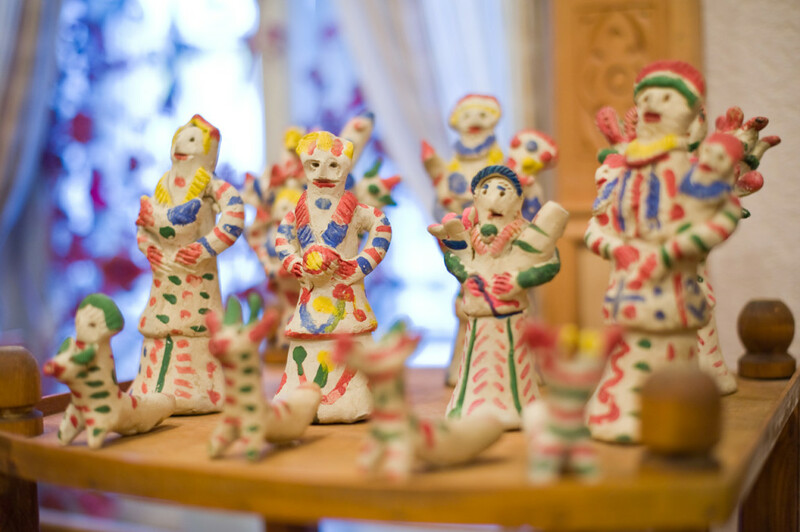 These clay toys were made by old craftsmen from Khludnevo village. These are the traditional Kaluga clay toys. As a rule only women made them. The most famous toys are the Tree of Life, the Ladies, whistles and fairy tale characters such as Goat and the Seven Little Kids, Foxes, Bears. People believed that whistles could protect them from evil forces.